Snake Catcher Brisbane, Ipswich, Western suburbs. 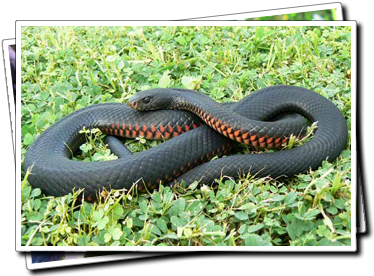 Snake Catcher Brisbane North suburbs, Albany Creek, Carseldine, Strathpine, Everton Park, Ferny Hills, Samford, Pinkenba and surrounding suburbs. Snake Catcher Brisbane South Suburbs. Including Yeronga, Coopers Plains, Sunnybank Hills, Moorooka, Mt Gravatt, Carindale, Runcorn, Tarragindi, Brisbane City, Carina and Holland Park and surrounding suburbs. Snake Catcher Brisbane Logan Suburbs. Including Beenleigh, Springwood, Shailer Park, Logan central, Crestmead, Waterford, Browns Plains, Slacks Creek, Kingston and all surrounding suburbs. Snake Catcher Brisbane Redlands and Bayside suburbs. Including Belmont, Burbank, Capalaba, Manly, Redland Bay, Sheldon, Thornlands, Victoria Point, Wynnum and surrounding bayside and Redland Shire suburbs. Including Mudgeeraba, Upper Coomera, Arundel, Burleigh heads, Helensvale, Hope Island, Nerang, Oxenford, Pacific Pines, Robina, Currumbin, Tallebudgera and surrounding suburbs. For our snake identification service simply click here to go to our Photo ID contact page to upload your photo. We provide our Australian snake identification service free of charge and always welcome high quality images for potential inclusion on our website. This service is not just for Queensland snake identification but for all snake id across Australia. Winter has broken and spring is in full swing! The majority of species are showing increased activity with our Brisbane, Logan, Ipswich and Gold Coast catchers recording a hefty increase in calls. Carpet pythons are the most obvious at this time with males actively seeking out females. This results in a higher probability of sightings and lucky residents may even witness male/male combat at this time of year. Significant captures include a 3.5 metre, 11kg snake from a roof at Sunnybank and a fighting pair of males from a backyard in Carindale. 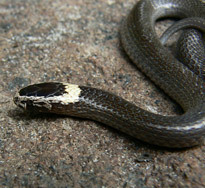 The RSPCA snake catcher referral service is no longer provided through their general wildlife assistance service. Call the above Brisbane and Gold Coast snake catchers for assistance. Brisbane and Gold Coast snake removal operators listed here have been referred to by the Queensland Parks and Wildlife Service (QPWS) and the Department of Environment and Heritage Protection (DEHP) for over 20 years due to their reliability and expertise. Permits for snake catchers specific to snake removal from homes and buisnesses are issued by this department. Snake Catcher Brisbane are present in a number of social media formats with two current pages featured for our followers. Our aptly named Facebook page titled Snake Catchers Brisbane, Ipswich, Gold Coast and Toowoomba issues posts featuring some of the many captures we conduct as well as highlighting valuable snake related information such as snake id and mitigatory advice. We network with other catchers from other localities and endeavour to inform our followers with up to date posts depicting the day to day events and news from our snake catching team. For those with a Google + page we have own page titled Snake Catchers Brisbane. This like our Facebook page aims to keep the residents and business owners of informed about the recent events and captures regarding snakes from the Brisbane and Ipswich area and all surrounding areas. We are always keen for new followers to share our many experiences with and wish to network with other Google + users by following there pages reciprocally . Being a small business we want to support other businesses throughout Brisbane and Ipswich as well as other areas. Additionally if you ever require a snake catcher fast you will know exactly where to find us fast 24 hours 7 days a week!